Christmas is Coming- Order WINDOWS FROM HEAVEN online today! 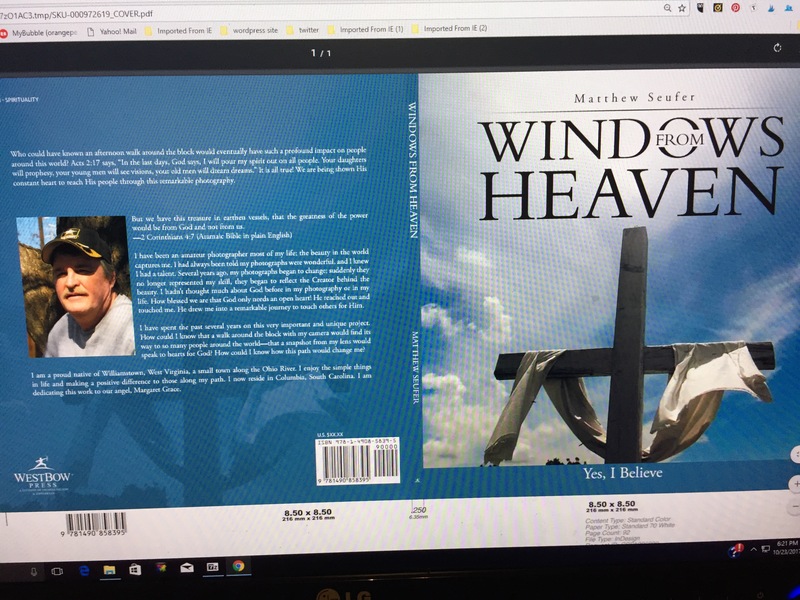 This entry was posted in amazon, america, angels, authors, Barnesandnoble, bible verses, blog, books, Booksamillion, Business, christ, christian, christmas, clouds, coffeetable, comfort, condolences, country, facebook., Family, fine art, floral shops, funeral, gift, gift shops, glory, God, google, heaven, Holiday, Holy spirit, hope, Indie authors, inspiration, instagram, jesus, Marietta Ohio, marketing, matthewcseufer, media, men, merry christmas, miracle, mystory, newsmedia, Office, Pastors, Peace, photography, prayer, Products, prophesy, scripture, shop, sky, social, testimony, trending, twitter, Uncategorized, USA, walmart, westbow press, windows from Heaven, women, wordpress, worldwide and tagged amazon, amen, angels, authors, believe, books, christian, christians, christmas, clouds, comfort, faith, fine art, follow, glory, google, heaven, hope, inspiration, photography, scripture, testimony, truth, windows from Heaven, wordpress by Matthew C Seufer. Bookmark the permalink.